No butter (or any other dairy) in these ooey-gooey one-bowl blondies – coconut oil works perfectly in its place. 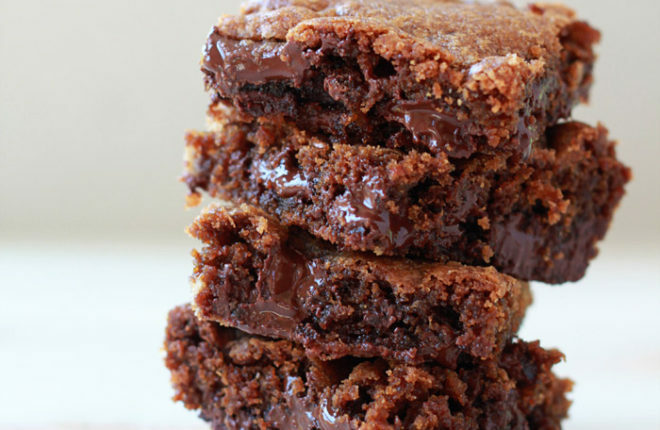 But no coconut taste – just caramelized chocolatey bliss! Pinky swear. I have somewhat of an obsession with blondies. Buttery, ooey, gooey, caramelly. Yum. So when I started omitting dairy from my diet earlier this year, I spent a little time mourning my beloved buttery squares. I also cut my sugar intake drastically, so it was probably for the best. But I believe in the occasional indulgence, and so it wasn’t long before I thought, hey! 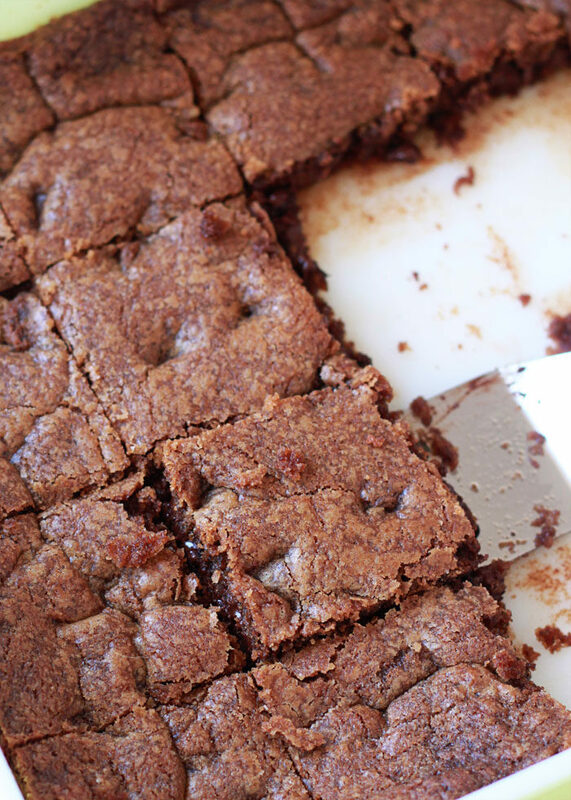 Maybe, just maybe we can make blondies without the butter! Coconut oil is the first ingredient I turn to when subbing something non-dairy for butter. And, much to my delight, it worked like a charm. 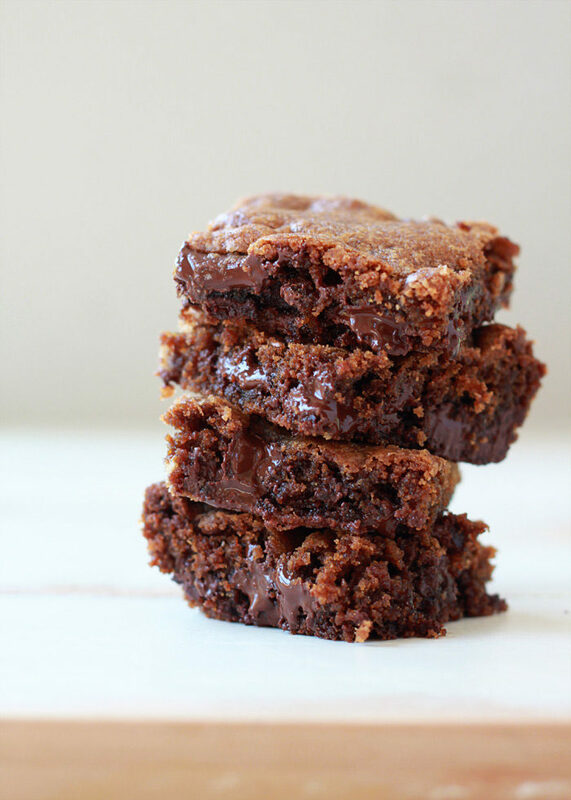 These blondies are moist, chewy, utterly caramelized deliciousness. And I don’t know if it’s my mind playing tricks on me or what, but I swear I detect a seriously buttery note, even though I know there isn’t any in there. 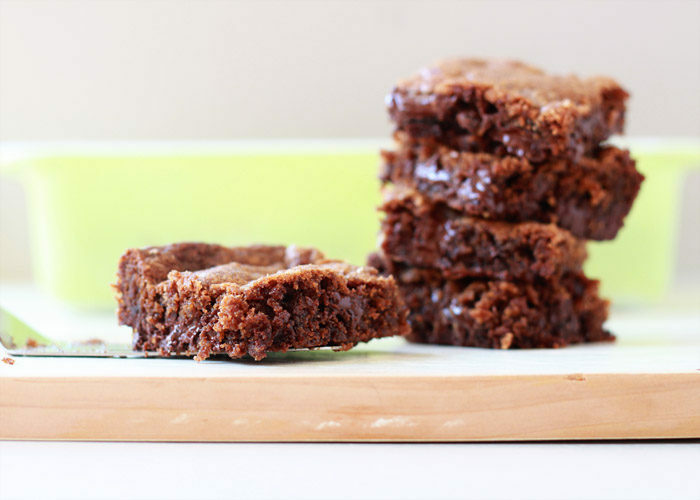 With the dark brown sugar and whole wheat flour, these blondies look more like brownies. But they’re blondies! I swear! Rich, buttery-without-the-butter, dairy-free and decadent blondies liberally dotted with chocolate chunks. And now I mourn blondies no more. Preheat oven to 350 degrees Fahrenheit. Rub an 8″x8″ baking dish with coconut oil and set aside. Add the 1/2 cup coconut oil and brown sugar to a large bowl. Mix with a spatula or wooden spoon until well-combined and smooth. Add the egg and vanilla and stir until combined. Sift in the flour, baking soda, and salt. Mix with wooden spoon until nearly incorporated – do not overmix. The batter will be very thick. Mix in the 1 cup chocolate chunks. Transfer batter to the baking dish and using the wooden spoon or your fingers, gently but firmly press the batter into the pan, smoothing the top as much as possible as you go. Bake until golden brown and set in the middle, about 30 minutes. Remove from oven and let cool in the pan for about 30 minutes. Cut into squares and use a cookie spatula to transfer to a wire rack to cool completely. Blondies keep well in a room-temperature airtight container for 2-3 days. What a delicious, easy blondie recipe! They are very popular in our house too, and I can’t wait to try your coconut oil version! So glad I found your page. Made these tonight and they are amazing! Very simple and yummy. Thanks! These are fantastic. they take 10 minutes and I don’t even have to get the blender out. I am no-dairy and after 5 years of baking this is the first recipe with coconut oil that my husband loves. They are a crowd pleaser. Using the coconut as a liquid makes it easier to measure plus it means I don’t have to be concerned with what state, liquid or solid, it is in my pantry. Yay! I love hearing this! I am pretty proud of this recipe so this comment makes me happy. 🙂 So glad you like it! I’ve made these with peanut butter chips instead of chocolate. Very delicious. Next I’m going to mix the two! 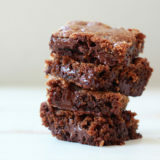 I’ve made these several times, using different mix ins when I didn’t have chocolate. This is an outstanding recipe! Thank you! Ooh, what kind of mix-ins have you tried? Recently I’ve been wanting to try pomegranate seeds and white chocolate but I’m not sure how the pomegranate would hold up. 🙂 SO glad you like these blondies and thank you so much for the review!